After months of debate on this issue, it has become clear that few elected leaders seem to understand the lives of DACA recipients. 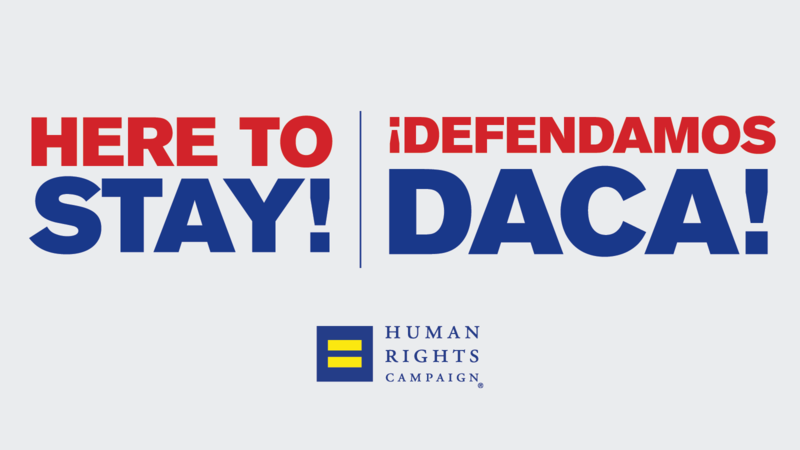 That’s why the the Human Rights Campaign is committed to sharing the stories of LGBTQ Dreamers. Last week, the organization released a video featuring Yuridia Loera Ramirez, a 22-year-old queer advocate and standout college student, who only felt comfortable under DACA protections to report her sexual abuser on campus. Today, HRC released a new video featuring Viktor, a queer Dreamer from Texas who closes his emotional appeal by saying, “I’m proud to call this country my home… Texas is my home sweet home.” WATCH Viktor’s story here.